Laravel is an open source MVC web development PHP framework, according to Wikipedia it was the most widely used PHP web development framework in 2013 and in 2014 it became the most watched PHP project on GitHub. It has a great community and it is rapidly evolving. 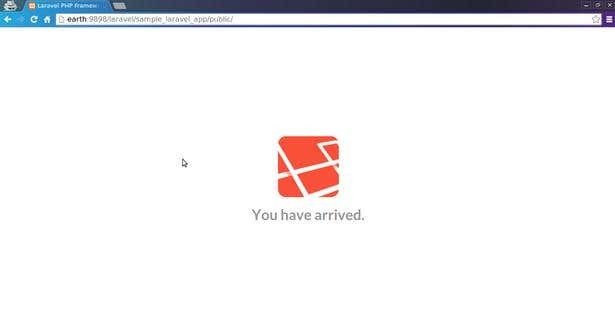 On the Laravel website there is a tutorial on how to setup a development environment using vagrant and virtualbox. Laravel offers a pre-built vagrant box, called Homestead, which has all the necessary tools for developing Laravel applications. 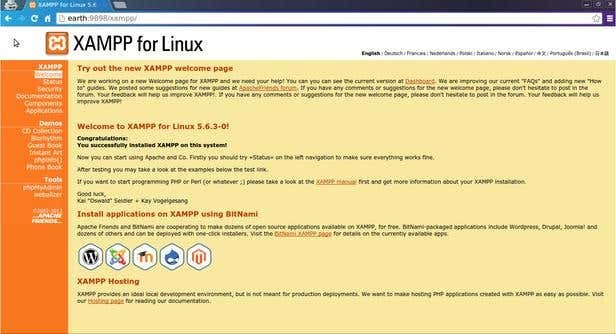 In this article I will explain how to create a development environment for Laravel using XAMPP under Linux Mint. On the second tab, you can stop/start/restart the services and update the configurations of the applications (Apache, MySQL). 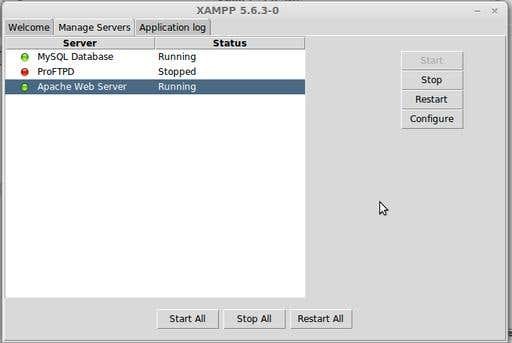 For example I use the 8989 port for Apache, so I need to update the Port on the configuration window, then hit OK and restart the Apache Web Server. Keep in mind the selected port has to be free and should not be used by other applications. Laravel uses Composer and php5-cli to generate the default project setup. 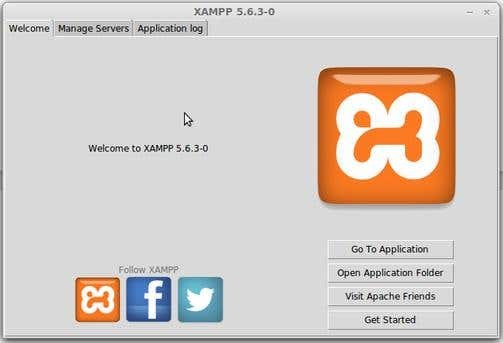 Composer is dependency manager for PHP, while php5-cli are command line tools for PHP 5. 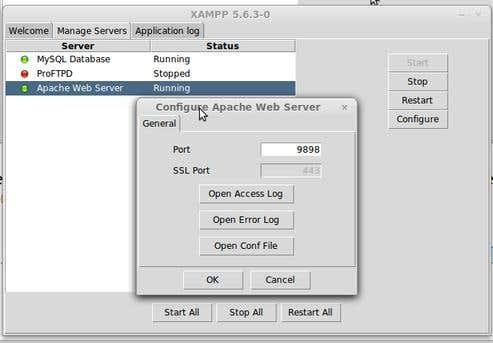 When everything is installed, navigate to /opt/lampp/htdocs (this is the directory which Apache uses to display the webpages). That’s it, a new project with the Laravel framework was created. If you navigate to the correct route and see this in the browser, the project was successfully installed. You are now ready to start the development on the project.